When Bob Seger broke out commercially with 1976’s Live Bullet and Night Moves, he seemed to those outside the Motor City to spring fully-formed out of nowhere. But Seger had been paying his dues with a string of albums for Capitol that dated back to 1969’s Ramblin’ Gamblin’ Man, and before that, a string of singles for the Philadelphia-based Cameo label. In the wake of his 1976 breakthrough, Capitol reissued several of Seger’s earlier albums, but what remained obscure were his earlier singles. As half of the Cameo-Parkway equation, Cameo was best known for the hits of Bobby Rydell, Dee Dee Sharp and the Orlons, but by 1966, the label, briefly reinvigorated by Neil Bogart, had signed ? and the Mysterians, and a young Bob Seger. Cameo released five Seger singles over ten months of 1966-67, but the label’s failing fortunes kept all but the last from breaking nationally. The fifth single, “Heavy Music,” scraped the bottom of the Billboard chart at #103, but it failed to represent the commotion that Seger was generating in his native Detroit. That local success begat a contract with Capitol, which provided a moment of fame with 1968’s “Ramblin’ Gamblin’ Man,” but it would be eight more years of slogging away before international fame came calling. Cameo-Parkway withered away in the shadow of American Bandstand’s relocation from Philadelphia to Los Angeles, and the labels’ catalogs went dormant for many years. 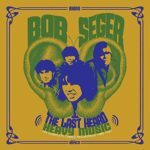 Select reissues of Chubby Checker and others have been released over the past few years, and now, finally, Seger’s singles. Seger’s first recording was a demo with his group the Decibels, but his first released record was Doug Brown and the Omens frat-rock R&B single “T.G.I.F. (That Goodness It’s Friday),” on the Punch label. The group’s second single, a Beach Boys pastiche titled “Florida Time,” was released on a subsidiary of Punch (as the Beach Bums), and backed with an anti-draft dodger parody of Barry Sadler’s “The Ballad of the Green Beret.” Seger had begun writing and producing for the Hideout label, and in 1966 he recorded the gritty, socially trenchant “East Side Story” as the first single to be released under his own name. The success of the single’s local issue caught the attention of Cameo, which reissued the title later in the year. Seger’s second Cameo single, “Sock it to Me Santa,” shows off James Brown’s influence on the young Seger, suggesting the sort of rocking soul with which Mitch Ryder stormed the charts. Keely Smith is most often remembered for the 1950s Las Vegas lounge show and recordings that came from her partnership with then-husband Louis Prima. Her deadpan comedic chops gave way to a solo career in the 1960s, signing with Frank Sinatra’s Reprise label and attracting the talents of arrangers Nelson Riddle, Ernie Freeman and Benny Carter. After two albums of standards, this 1964 release drew exclusively upon the early works of Lennon & McCartney, cannily resetting them to make the most of Smith’s jazz and pop stylings. “If I Fell” opens the album with a dramatic string-and-vocal passage that gives way to a Latin beat, while the chart for “This Girl” tips its fedora to Sinatra’s “That’s Life.” The latter is no surprise, given that Smith and Sinatra’s tracks were both arranged by Ernie Freeman and produced by Jimmy Bowen. Smith’s voice is in superb throughout, whether skipping along breezily or holding onto dramatic notes. The walking bass and fingersnaps that open “A Hard Days Night” nod to “Fever,” but Smith’s blue-jazz vocal and the quiet horn accents give the recording its own mood. Upon the 1970 dissolution of the Mamas and Papas, three of the four members carved out solo careers, while Michelle Phillips departed the music world for a career as an actress. Five years later she edged back into the studio with the singles “Aloha Louie” and “No Love Today,” and in 1977 released this album, with production and arrangements by Jack Nitzsche, and backing from some of Los Angeles’ finest studio players. 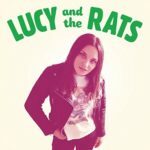 Singing material by Moon Martin, Alan Gordon, John Phillips, the Bee Gees, Scott Matthews & Ron Nagle, as well as a pair of originals, she sounds surprisingly self-assured and effortless for someone who’d mostly been away from the microphone for the previous seven years. Her reported lack of confidence in her solo voice proved unfounded as she showed off a command of a spotlight that was previously diffused by her talented groupmates. 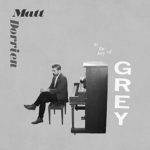 The old-time vibes in Matt Dorrien’s music are unmistakable. The influence of Nilsson is the top-line note, but the archness of Randy Newman, the melancholy of Elliot Smith and Brian Wilson, the introspection of Paul Simon, and Paul McCartney’s penchant for British music hall aren’t far below the surface. After a pair of folk-influenced guitar-based albums recorded as Snowblind Traveler, Dorrien returned to his first instrument, piano, and crafted a set of tunes whose optimistic melodies belie the broken heart that sparked their creation. The immediate fallout of the breakup is captured in “I Can’t Remember,” but the bottom is found in the post-romance doldrums of “Baby I’m So Lost.” The latter suggests an emotional cul de sac whose only apparent escape is an unlikely reconciliation. The post-breakup phone call of “All I Wanted to Say” attempts the impossible navigation of friendship lost amid romantic dissolution, and the boozy “Mister Pour Another” does its best to literally drown Dorrien’s sorrows. When Johnny Mathis first paired with producer Jack Gold for 1970’s Sings the Music of Bacharach & Kaempfert, it seemed like an opportunity for an update. But the double album’s combination of previously released recordings of Burt Bacharach songs with new recordings of older Bert Kaempfert material failed to align Mathis with the new decade’s music. This second collaboration takes a bolder approach in its song selection, bringing Mathis up to date, while still maintaining lush arrangements to surround his inimitable vocal styling. This was less an attempt to cross him back over to the pop chart than an acknowledgement that the crafting of pop hits had expanded to a new generation of songwriters. 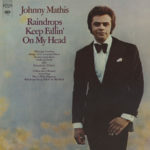 Mathis’ continuing affinity for Bacharach and David’s material led him to cover the album’s title track (a 1969 hit for B.J. Thomas), “Alfie” (a 1966 UK hit for Cilla Black, and a 1967 US hit for Dionne Warwick) and “Odds and Ends” (a 1969 adult contemporary hit for Warwick). 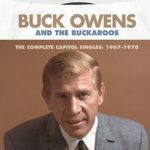 Stretching out, he included material from Jimmy Webb (“Honey Come Back,” an R&B single for Chuck Jackson in 1969, and a country hit for Glen Campbell the following year), George Harrison (“Something,” Harrison’s first A-side and chart topper), Rod McKuen’s “Jean” (an Academy Award nominee and a #2 single for Oliver), and a pair of tunes from the film Midnight Cowboy, the latter of which are surprisingly good fits for Mathis. Fred Neil’s “Everybody’s Talkin’” dated back to 1967, but with Nilsson’s version having been a hit in 1969, it had gained new currency. 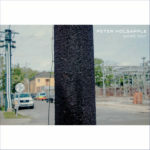 Mathis’ strong vibrato, supported by plucked strings and a free-spirited flute, pushes the song beyond the introspection and melancholy of Neil’s and Nilsson’s earlier versions. The theme song from “Midnight Cowboy” is performed with lyrics written by the album’s producer, turning John Barry’s haunting instrumental into a stalwart statement that echoes the drama of Ferrante & Teicher’s hit single. 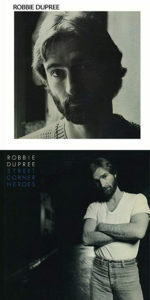 At its most contemporary, the album samples George Harrison (“Something”) and Paul Simon (“Bridge Over Troubled Water”), the latter closing out the original album’s track list.